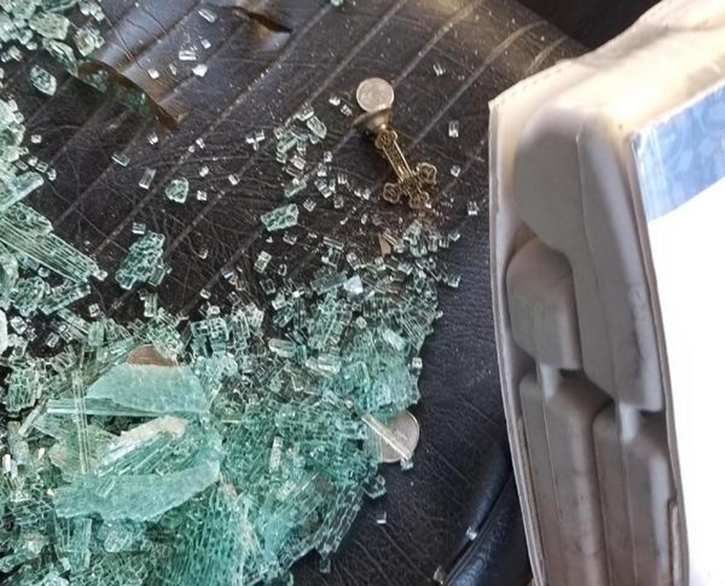 The vandals left an iron cross strewn in the driver’s seat with coins, something recognized as anti-Semitic symbols. 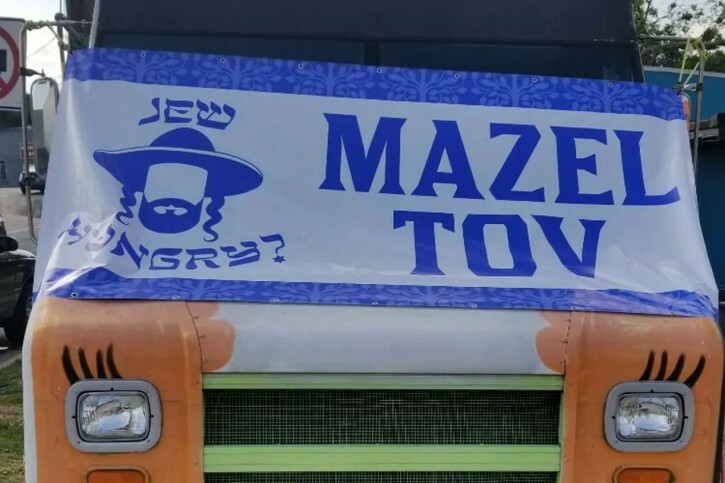 Austin, TX - A crowdfunding campaign has raised more than $12,000 to help the owner of a Texas food truck that serves kosher-style food after it was vandalized in an anti-Semitic attack. Scotty Grossbard opened his Jew Hungry? food truck in Austin, Texas eight months ago. It serves traditional Jewish foods, including matzo ball soup, latkes and deli sandwiches. On Oct. 31 he received a phone call while on vacation in Florida to tell him that his truck had been vandalized. In addition to a broken windshield and window, appliances were destroyed; and kosher food ingredients were stolen. Grossbard also discovered an iron cross formed out of coins on the driver’s seat of the truck. He told local media that when he saw the cross he knew it was an anti-Semitic attack. The Iron Cross was a German military medal adopted by the Nazi regime in the 1930s, and is used today by white supremacists as a hate symbol. “It was ransacked, glass everywhere. And that’s when I saw the cross and the change on my driver seat. I got upset. I started crying. I cried most of the day yesterday,” Grossbard said after he returned from vacation to survey the damage. “For them to leave that, to me it’s just saying that Jewish people are all about money and that’s all we think about,” he added. Grossbard opened a GoFundMe page on Saturday night in order to try to raise the estimated $2,000 to repair the immediate damage to the truck and equipment in order to allow him to reopen. That estimate has gone higher as more equipment was discovered to be damaged, including his fryer. The goal was surpassed one day by 74 donors and the total stood on Thursday morning at more than $12,000. He announced on the page that he will reopen with sandwiches and soups while waiting for the equipment repairs. There have been at least 32 reported anti-Semitic or white supremacist incidents in Austin since January 2017, according to the ADL. "Kosher style food" does not mean Kosher food. You two nudnicks typify what is WRONG with SOME Frum Yidden of your ilk. No sympathy or concern of what happened to another Jew. Do you really think for a minute the nazis that did this act, know the difference? YOU would have been attacked just as fast as this gentleman was. As long as Yidden behave like you, the Moshiach will never appear in your life times. Nebech. To #4- Thank you very much for backing numbers 1 and 2; it appears that number 3 thinks that we have no compassion for the victim in this case. We do; however, that still gives us the right to question the phony label "kosher style", which is trefe. So because kosher “style” isn’t kosher, perhaps the perpetrator is only anti Semitic “style” - not fully anti Semitic? Of course selling traif as kosher is wrong but what exactly is the point of the comment?